The idea of someday becoming financially independent felt like a far-fetched dream when I was young. I was born in Canada to parents who had emigrated there from India in the late 60’s. Like most who choose to leave their home country, it wasn’t an easy decision for mom and dad. They’d be leaving their family and friends behind. But they knew their prospects for a better life, and especially for their children had to elsewhere. Mom and dad had blue-collar jobs. They made a decent honest living – enough but certainly not enough to afford luxuries. We lived in a small two-bedroom apartment for many years. I shared a room with my older brother. We didn’t have much in terms of material things, but my parents were sure to occasionally spoil us – like the time we were the first kids on our block to get a Commodore Vic 20 console. Remember them? 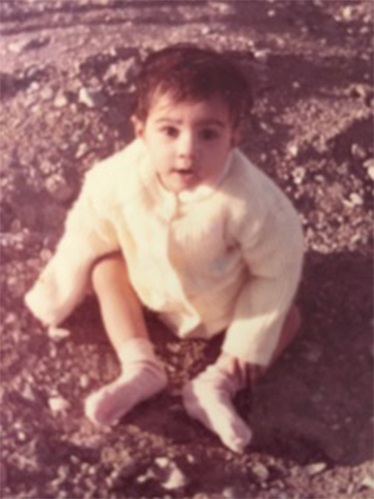 When I look back at my childhood though, I never remember feeling deprived. We were loved. We had an abundance of great food on the table, were surrounded by wonderful family and friends, and we travelled when we could, taking road-trips around North America and back to the “homeland” to visit relatives on occasion. The appreciation of a hard-earned dollar. They worked hard to build a life, and that work was never guaranteed. I learned to be wise with my money, and never take it for granted. To live beneath my means. We’ve all heard this one, and sometimes it’s difficult to adhere to. By not being a slave to money, I’ve given myself permission to travel more, share more and most importantly, walk away from situations that don’t measure up to my values. That freedom comes by not living paycheck to paycheck, and I’m thankful everyday for it. That if I have a choice, earn my own living. I’m incredibly fortunate I was born in a country that’s given me ample opportunities. But I’ve also been raised in a culture that too often doesn’t value a woman working. Mom and dad instilled in me the confidence that I could and should stand on my own two feet – it was my choice. To start young in investing my savings. My parents were always conservative investors, but they were disciplined investors. I’ve witnessed first-hand the wealth they’ve been able to create by taking a long-term view on markets and leveraging the power of compounding interest. I started investing at age 16, and I haven’t stopped. These words of wisdom have kept me on the right path to achieving my financial goals to date. What the education system failed in teaching me Money 101, mom and dad made up in spades. Talk to your children about money. Tell them why you’ve worked hard to make it, the challenges you’ve faced and the lessons you’ve learned and wish you’d learned along the way. Empower them to form a healthy relationship with money so they can thrive. I’m thankful to mom and dad for the financial sacrifices they made to give me opportunities they never had. I’ll be eternally grateful to them for the lessons they taught me so I can build a secure and meaningful life for myself. I’d really love to hear your story. What’s the best finance advice your parents gave you? How has it shaped your decisions today? What lessons are you instilling in your children?